for handcrafted Maine artisan cheese! We offer one of the largest selections of Maine cheese available anywhere. Cheese is my passion, and Maine cheese has become a primary focus of my business at Five Islands Farm. I am never happier than when introducing someone to truly great Maine-made cheeses! Cow, Sheep and Goat's milk cheese... cheddars, tommes, bleus, washed rind and bloomy rind styles are all made here. Many of the cheese makers have been crafting fine cheese for more than 25 years. Maine cheese makers have created many American Cheese Society award winning cheeses, and those numbers grow every year. As a long time board member and supporting partner of the Maine Cheese Guild I have gotten to know many of the cheese makers and I am fortunate to count as my friends the amazing creators of the many different and wonderful cheeses that are being made here in Maine. My thanks to them for creating the stuff my dreams are made of. Five Islands Farm is a proud Supporting Partner of the Maine Cheese Guild. 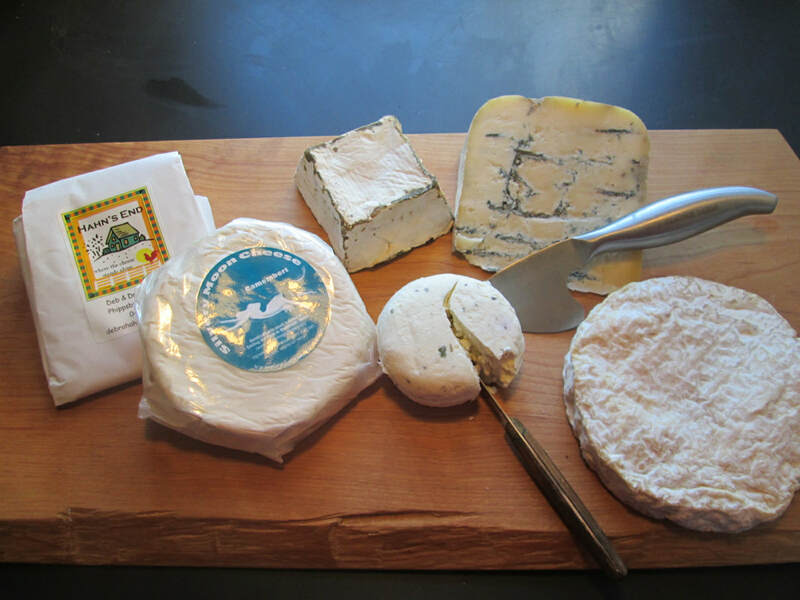 Read about Maine cheese in this Down East Magazine article "A Slice of Culture"
Join us for our Friday Food Foray summer tasting series and meet cheese makers from around the state and sample some amazing cheese. Tastings are held on Fridays from 2-4 pm from July 1st until Aug. 24th. Click here for the schedule.